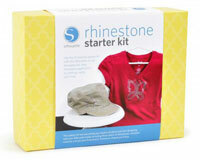 Heat transfer rhinestones are popular for creating customized shirts, hats as well as crafting projects. 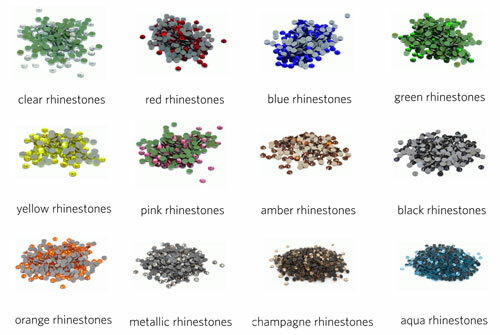 Rhinestones adds the bling effect to your designs. They come with heat transfer backing so you can press or iron them on to clothes, hats, cards, scrapbook pages and fabrics with ease. 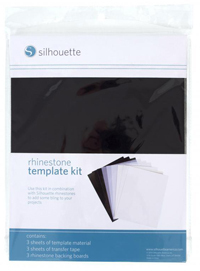 With software such as Silhouette Studio Designer edition or WinPCSIGN 2014 Pro edition, it is easy to create rhinestone patterns based on your custom designs. 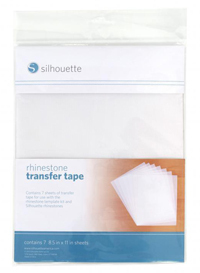 Silhouette rhinestones have heat transfer backing so you can iron them on to clothes, cards, scrapbook pages and fabrics with ease. They come in 3 sizes: 10ss (3mm), 16ss (4mm) and 20ss (5 mm). Available colors are: clear, red, cobalt blue, emerald green, citrine yellow, pink, amber, black, orange, metallic (grey), aqua, and champagne. A few other colors (peach, rose, teal, mint) are only available in assorted packs. The following colors (peach, rose, teal, mint) are only available in assorted packs. 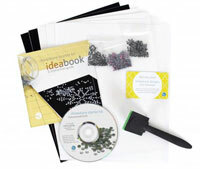 Use the 8.5 x 11" template kit with rhinestones to cut patterns, arrange rhinestones, and transfer the rhinestones to clothing, cards, and more.